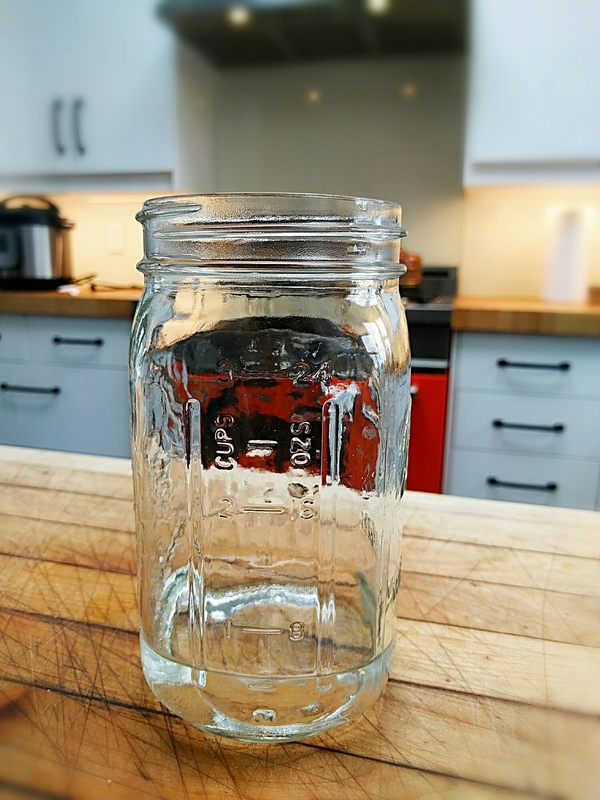 I drink about a gallon of water each day, and I have for a long time--it makes me feel clearer-headed and less fatigued, it helps my skin stay bright and glowy, and it keeps my joints in better working order. I recommend aiming for half a gallon of water per day to patients who aren't in a water-drinking habit. Sometimes, though, patients will balk--"But water is so BORING!" they protest. -Bring water to a boil and pour it over your favorite fruits or spices, let steep for five to twenty minutes, remove fruits and drink when cool enough. As an example, think about putting half a sliced pear and a little bit of minced ginger in the bottom of a quart jar and then pouring hot water to fill the jar. Dried blueberries and orange peel could be another tasty option. -Bubbly water still counts as water! I put a teaspoon of apple cider vinegar and about a teaspoon of maple syrup in a pint jar and fill that with bubbly water. A little rice vinegar and a thinly-sliced cucumber would be delicious as well, as would balsamic vinegar and a couple of sliced strawberries. -All kinds of herbal teas count towards your water intake--chrysanthemum, mint, rooibos, chamomile. One you may not have heard of before is barley tea, which is common in East Asian countries but not so much here. It's made by toasting raw barley in a heavy pan for just a couple of minutes till it's nuttily fragrant, then simmering it for ten to twenty minutes in water. I'd do maybe a heaping tablespoon of barley to a quart of water.